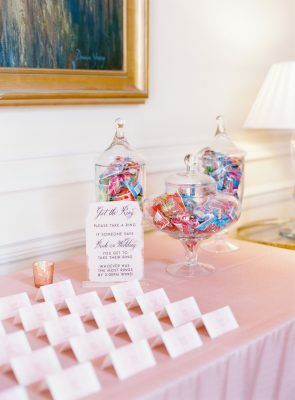 Talk about a dream bridal shower! I am the furthest thing from a girly girly pink girl. 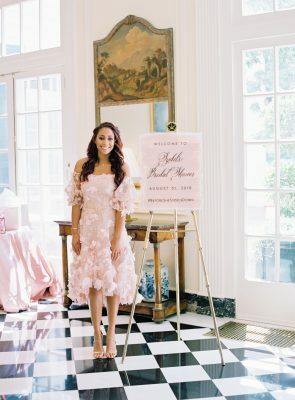 I love to wear black and sweats and all the other things that scream out comfortable not prissy BUT after my bridal shower that changed. 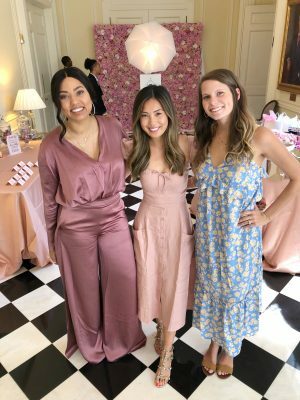 My two Matrons of Honor (Ayesha and Meredith) and my oh so amazing wedding planner Kristi partnered up and gave me the most gorgeous bridal shower a girl could ask for! Left to right: Ayesha (@AyeshaCurry, @detailskristi, @meradams on IG). Aren’t they beautiful?? 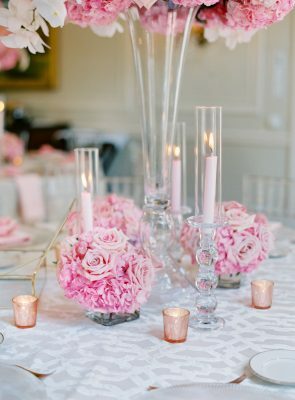 Blush pink everywhere! 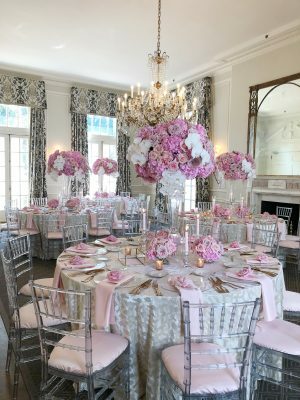 Amazing decor and centerpieces that still have me drooling to this day! Mimosas on mimosas. And a room full of women wanting to shower me with love. It really doesn’t get any better that. Now, on to the Photos and Deets! All photos were taken by The Great Romance (@greatromancephoto on IG). This dynamic husband and wife duo are the most amazing wedding photographers (I may be a little biased). They captured every single part of the my wedding process and I could not have asked for any better. So thank you to both of them! This PERFECT bridal shower dress was graciously given to me by my favorite sister (LOL). Blush pink off the shoulder low-high dress with detailed flowers all around. I paired them with a simple gold shoe….Super cute but I am not gonna lie, my feet were hurt-ing but my feet always hurt because I love a good heel. No pain, no gain. You feel me? 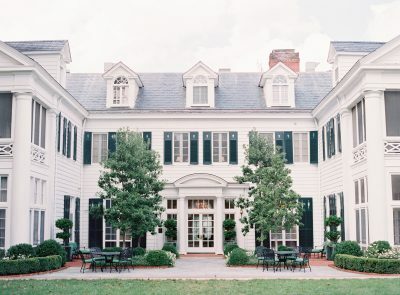 The Bridal Shower took place at the Duke Mansion located in Charlotte, NC. It was the perfect location for this event. The staff were very nice and accommodating and the food. Oh my goodness, we had the chicken and it was AMAZING! But I mean look at how amazing this location is! A lot of events take place here: weddings, rehearsal dinners, parties, literally anything you can think of! 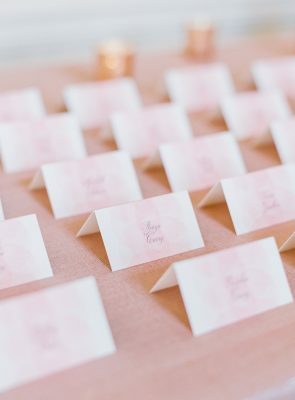 Name cards, gift bags and votives were provided by Minted (@minted on IG). 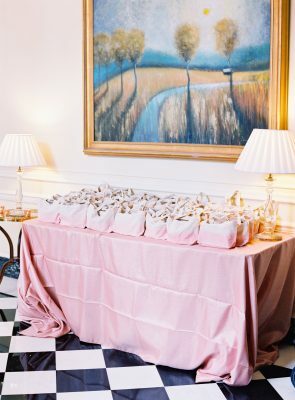 The blush pink writing was perfect for the setting and made the environment very girly. I loved it! The beautiful acrylic signage made by Luxe Marie Stationery (@luxemarie_stationary on IG). CENTERPIECES!!!! 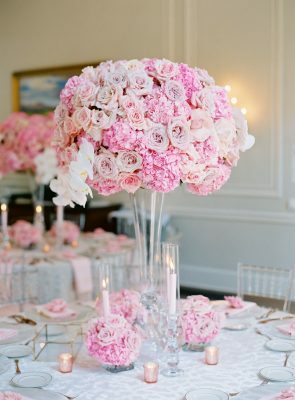 I died over these centerpieces. Honestly it was so hard for me to pay attention to anything else other than these centerpieces. Jonathan from CLux was the mastermind behind the beauty (@jonathanclux on IG). 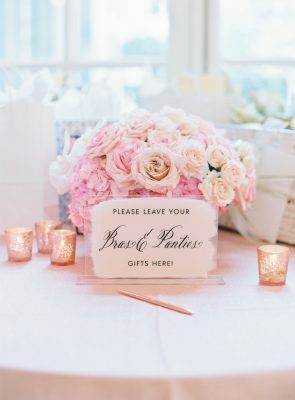 The beautiful acrylic signage made by Luxe Marie Stationery (@luxemarie_stationary on IG). 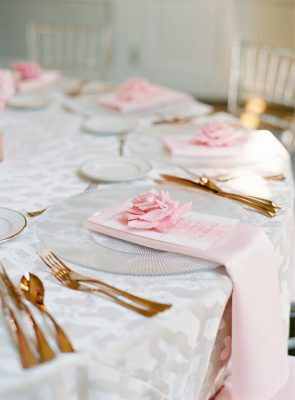 Cutlery, chargers, tablecloths, napkins provided by Clux (@cluxinc on IG) in Charlotte, NC. 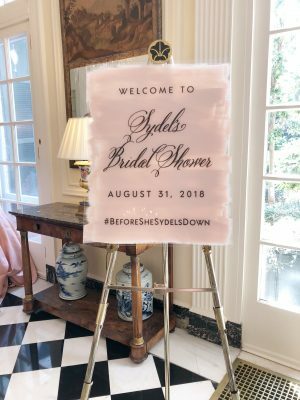 Hope you guys enjoyed this post and if you are planning a bridal shower I hope this gave you some inspiration because they did the dang thing! They put picture frames in the bag (from the Photo Booth that was there), I think some cute pens, and candles. I did not get one cause I totally forgot but I am pretty sure that was everything!